Hi, my name is Dylan, and I am based in Western Massachusetts. I am 12 years old and hope to someday work in the special effects industry. 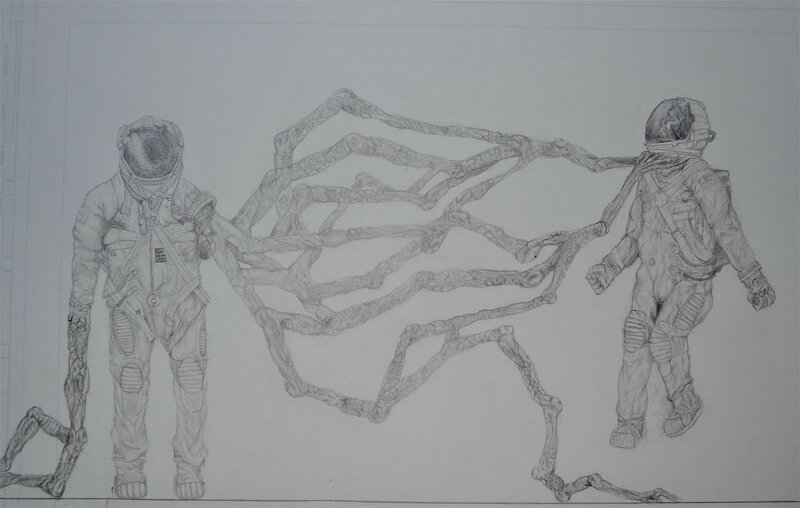 My idea for this piece was that an alien had inhabited the body of an astronaut and was using the body to destroy the rest of the astronaut's crew for entering into its territory. It was done in graphite and took me roughly a day to complete. The photographic image is not of the quality I had wished for but I hope it will sufficiently show the details.